Sassafras, Sassafras albidum, is in the Lauraceae family, which also includes spicebush, pond spice, and bay. Sassafras is a thicket forming, deciduous tree, which ranges in height from 10 to 40 feet. The bark is rough and gray and smells like root beer when crushed, as does the root. The leaves are alternate, simple 2 to 6 inches in length and resemble mittens because of their two to three lobes. They vary in shape from ovate to elliptic, with the margins ranging from entire to lobed. The foliage turns various colors in the fall ranging from yellow, red, or orange. 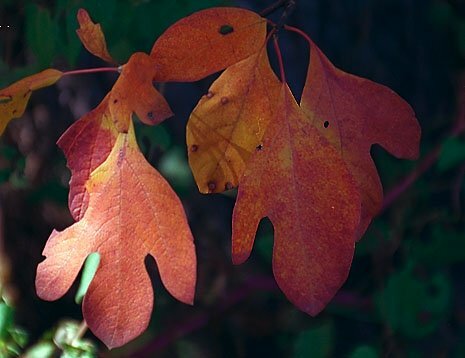 Sassafras was one of the first plants traded into England from the Spanish parts of America. In 1577 Dr. Monardus, a Spanish physician, increased its fame and price when he listed its medicinal uses in his book The Joyful Newes From the West Indies (sic). Sassafras soon acquired a huge reputation as a medicinal herb and sold for a high price. It was thought that huge fortunes were to be made exporting sassafras. The excitement spurred charters from the London and Plymouth companies in 1606 to Jamestown, Virginiana. The commander of the expedition, Bartholomew Gosbold, died in Jamestown of swamp fever. 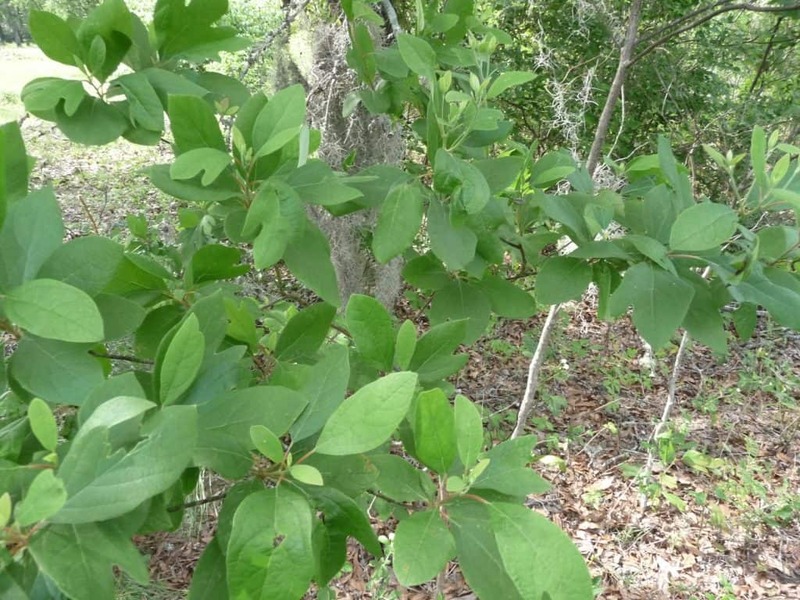 Ironically at the time of his death, sassafras was the recommended cure for swamp fever. Fortunes were never made because its great abundance depressed its price. Sassafras tea was once a popular spring tonic. One early advertisement for it was “In the spring of the year when the blood is too thick there is nothing so fine as a sassafras stick. It tones up the liver and strengthens the heart, and to the whole system new life doth impart”. The twigs, roots, root bark, and blossoms can be used to make tea, candy, and jelly. A thickening agent in Cajun cooking, ‘file’, is made from ground sassafras leaves. Sassafras root was once used as a flavoring agent for root beer, however, the FDA deemed safrole, a component of sassafras oil, unsafe. In the 1960’s its use was banned in the making of root beer. Many people still use the root for making tea, including myself, and I believe that if used in moderation it is no less dangerous than any of the hyper-processed foods available in our society today. Medicinally sassafras has been used as a pain reliever, antiseptic, diuretic, diaphoretic, and stimulant. Its uses have declined a great deal. Medicinal preparations for eternal use are considered safe. It is used as an antiseptic for skin wounds and sores, and is also recommended for relieving the itching of poison ivy and poison oak.